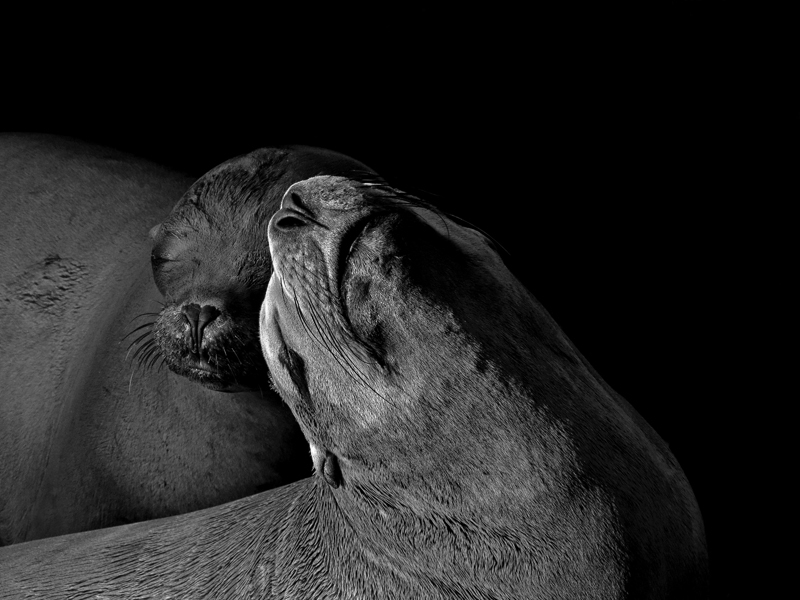 Side-lighting helped me achieve the desired effect in this image of California Sea Lions basking in the sunlight. Very nicely done, Tony. I like the juxtposition of the two heads, the strong diagonal lines, and the dramatic use of light and shadow, although it does tend to suggest basking in the moonlight, rather than sunlight, as presented. Thanks very much for looking and I greatly appreciate your comments, Carol. Nice dramatic side lighting against the dark background, Tony. Great poses, and very good black and white conversion. Thanks, Ron. It's always enjoyable to spend time "seeing in black & white" and deciding which subjects might present well in monochrome. The side lighting was available and the fact that the fur on the sea lions was slightly different in texture and color convinced me that this was a good candidate for a black & white conversion. Glad you liked the result!